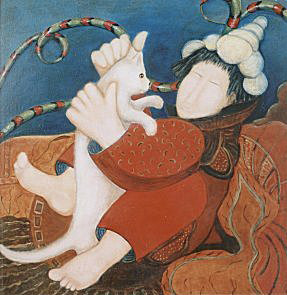 (1944), grown up in The Haque,a town in Holland. 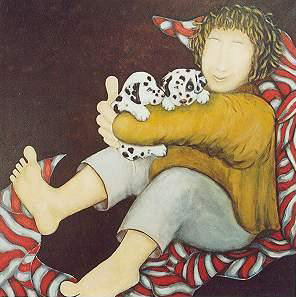 In 1965 she married Jan (Maurice), the naïve Painter. 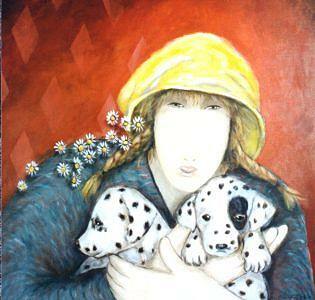 During the period when the children grown up, she had no time and no inspiration to make paintings. 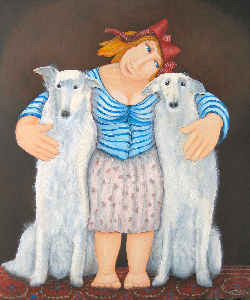 First in 1991, when her son and daughter left the house, she was able to start her painting hobby again. 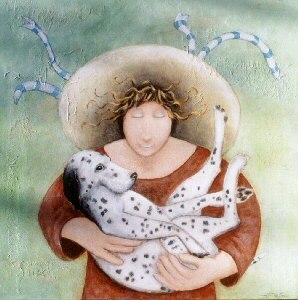 Since her childhood , Adrie was always surrounded by lot of pets. 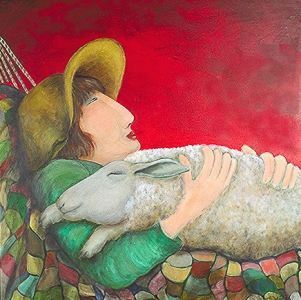 In the period when she was living with her family in the country, she also kept sheeps,a goat, rabbits, ducks,chickens, cats a dog and a lot of other lovely animals. 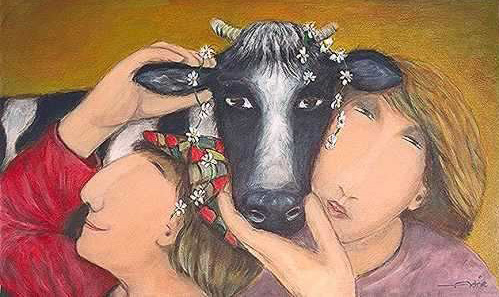 Thats why she is inspirated by them. 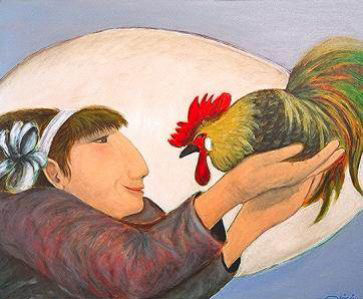 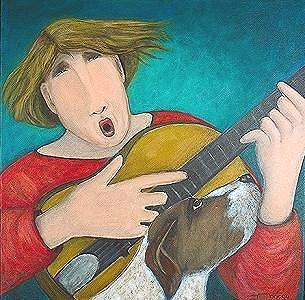 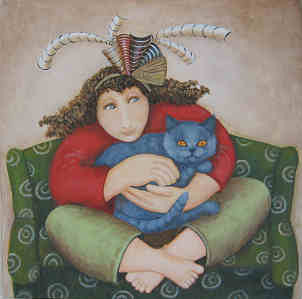 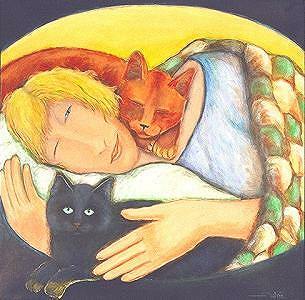 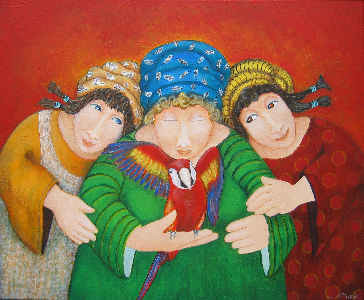 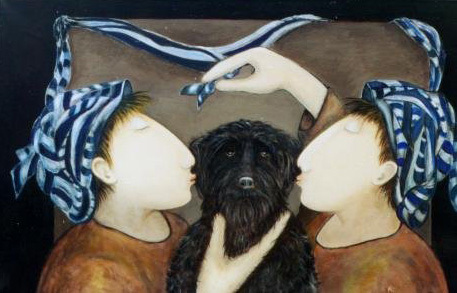 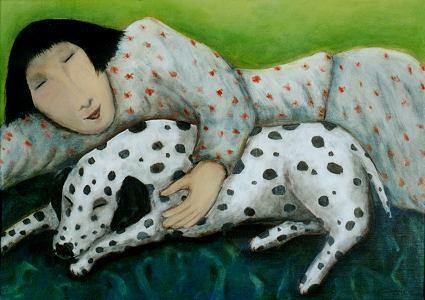 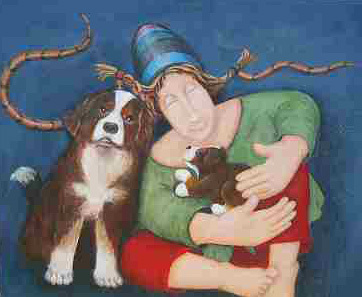 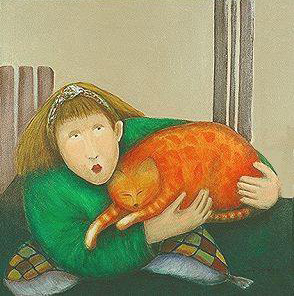 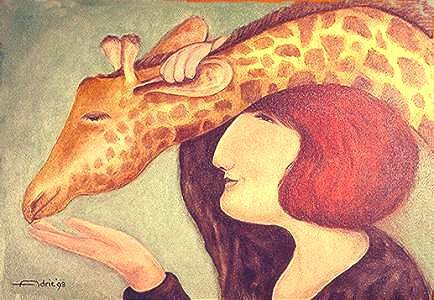 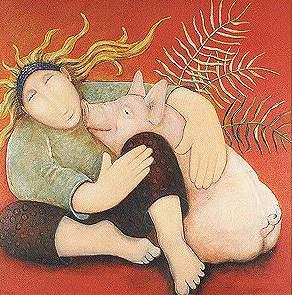 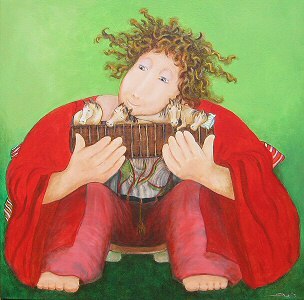 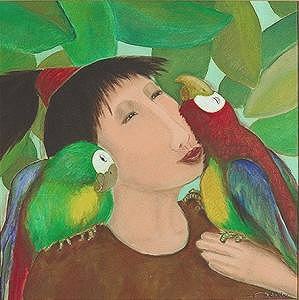 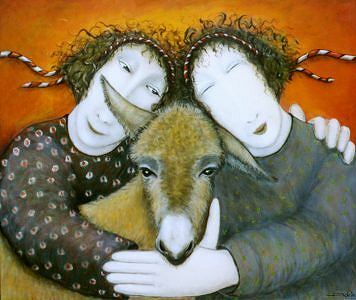 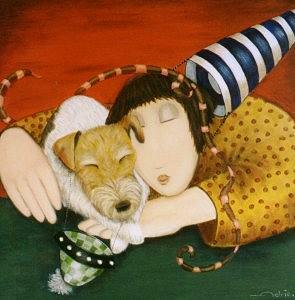 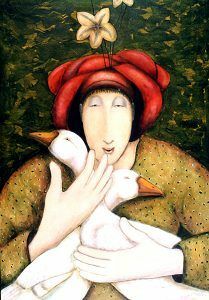 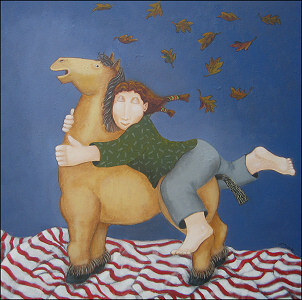 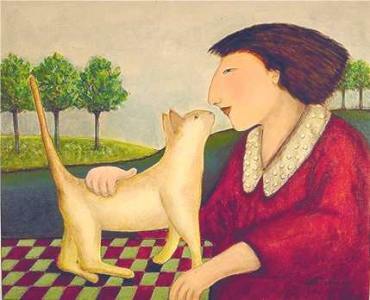 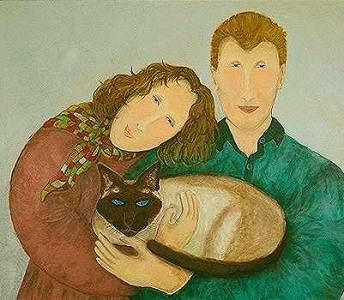 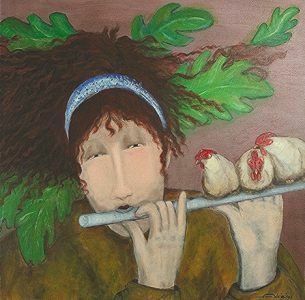 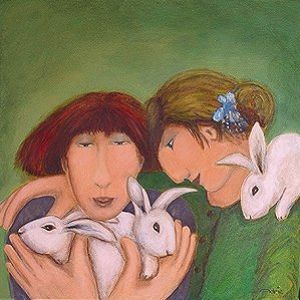 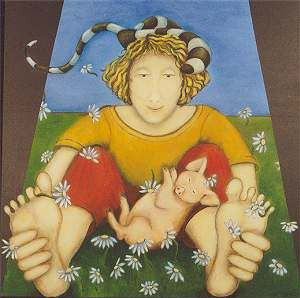 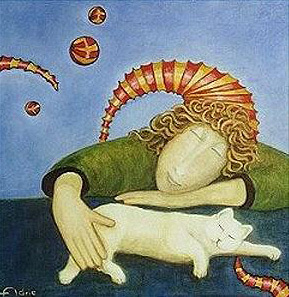 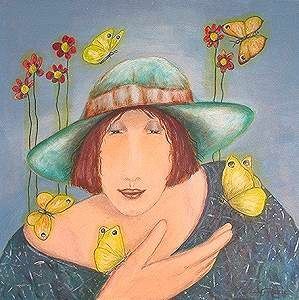 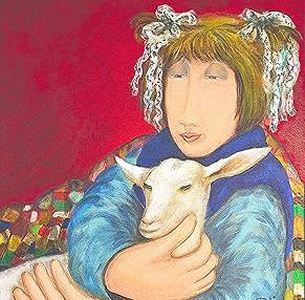 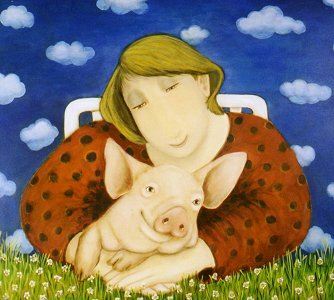 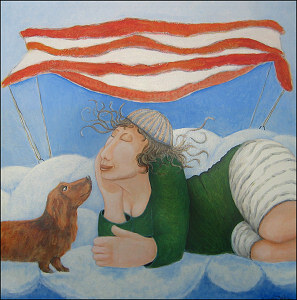 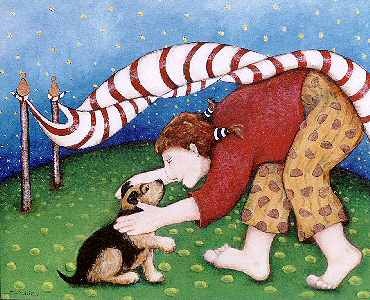 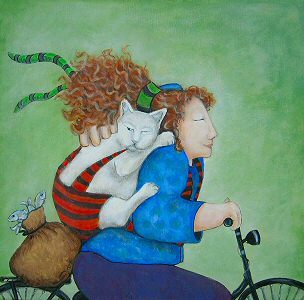 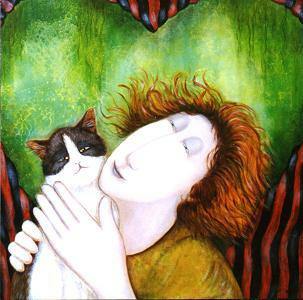 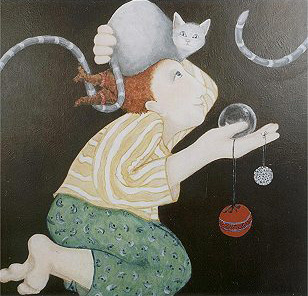 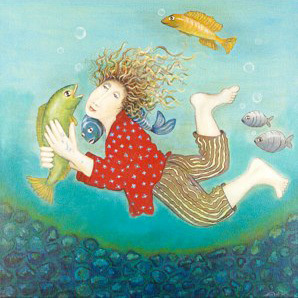 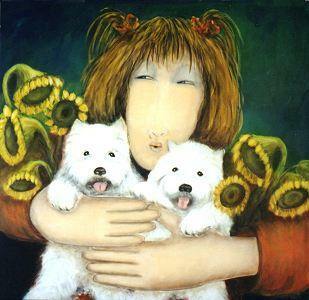 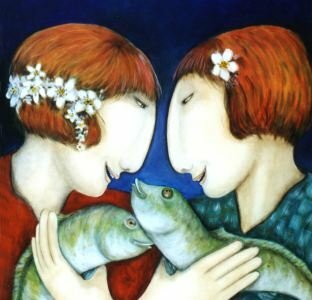 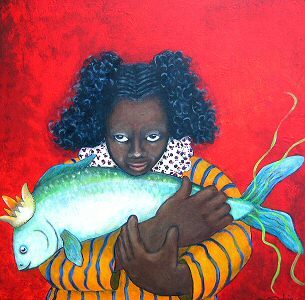 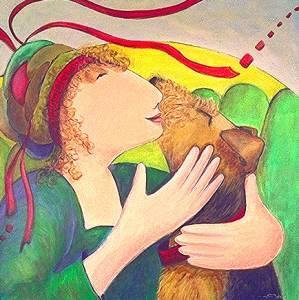 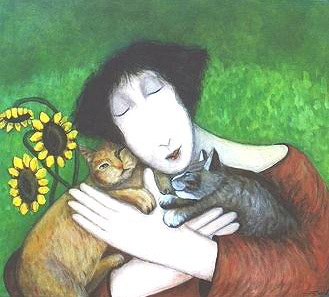 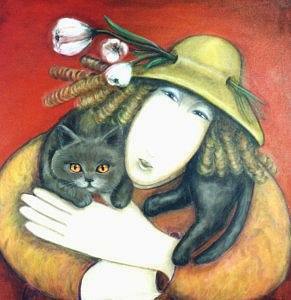 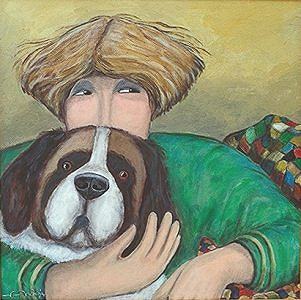 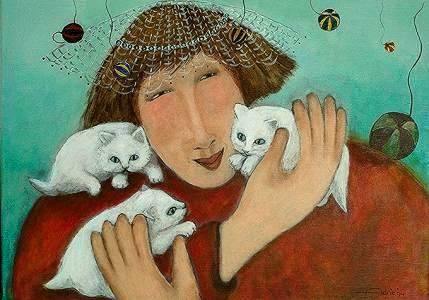 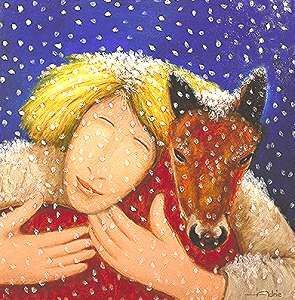 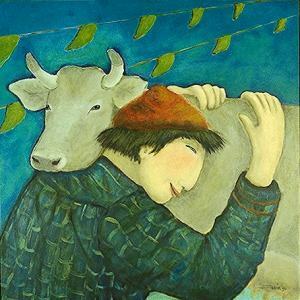 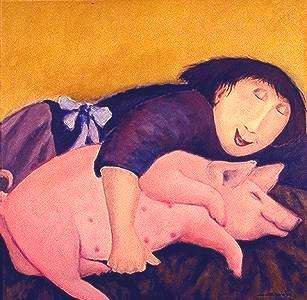 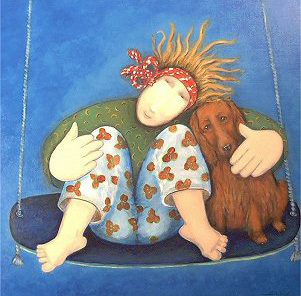 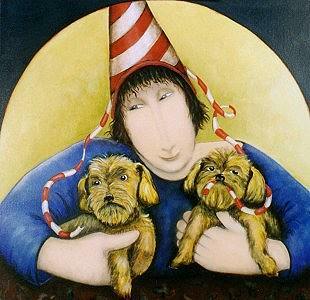 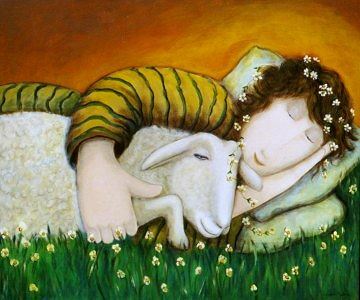 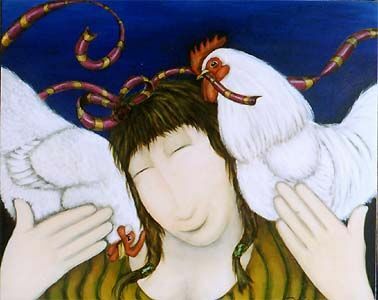 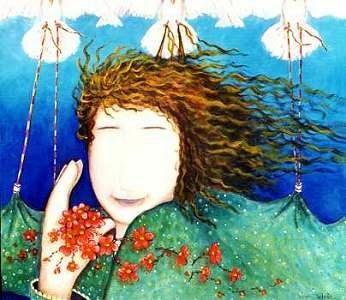 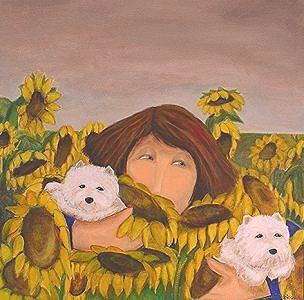 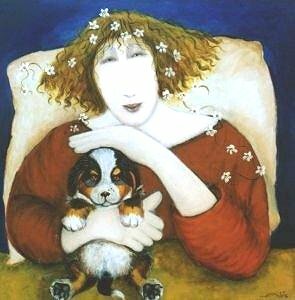 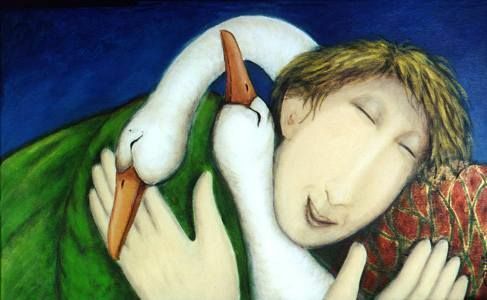 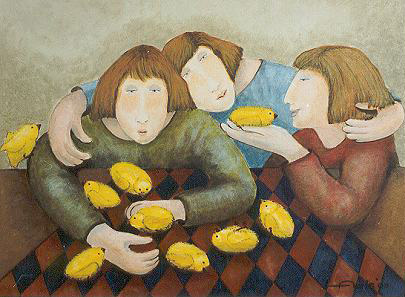 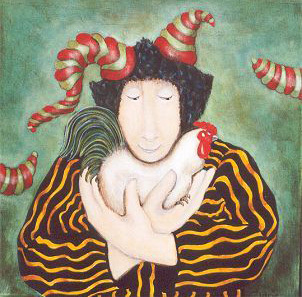 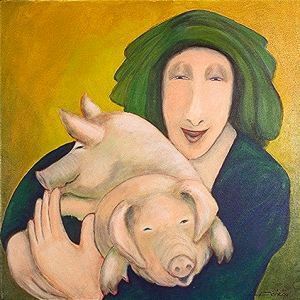 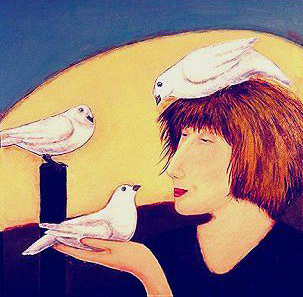 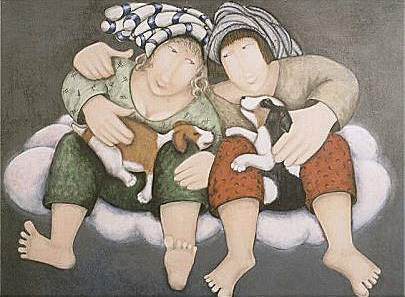 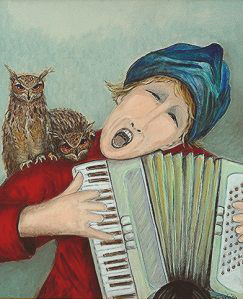 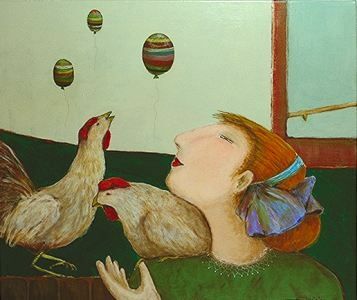 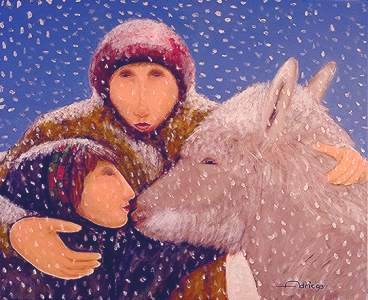 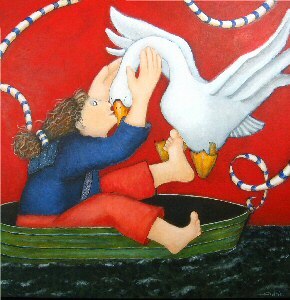 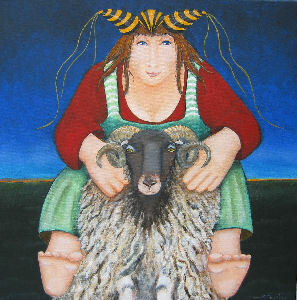 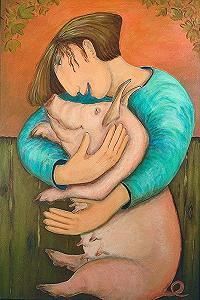 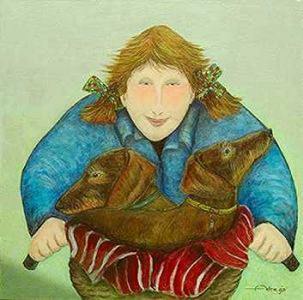 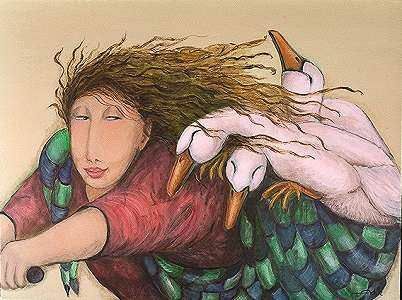 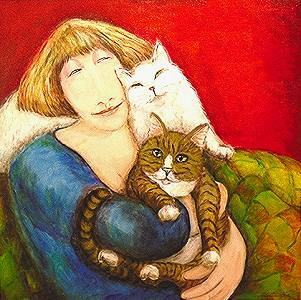 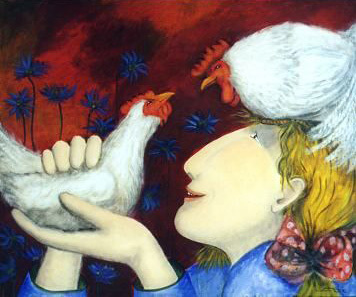 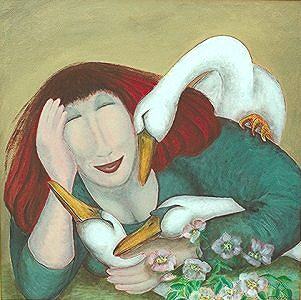 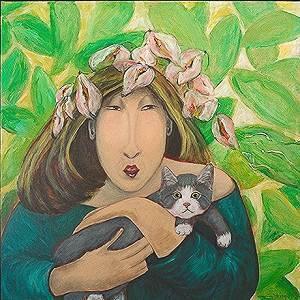 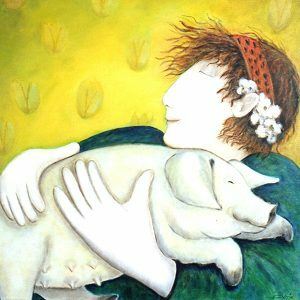 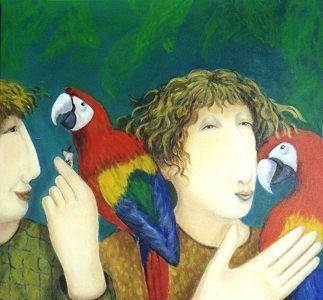 People with animals ,which she paint in a naïve style, are the most important objects in her paintings. 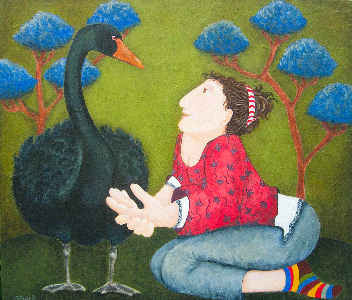 Her work is in possession of private persons, collectors and institutions.